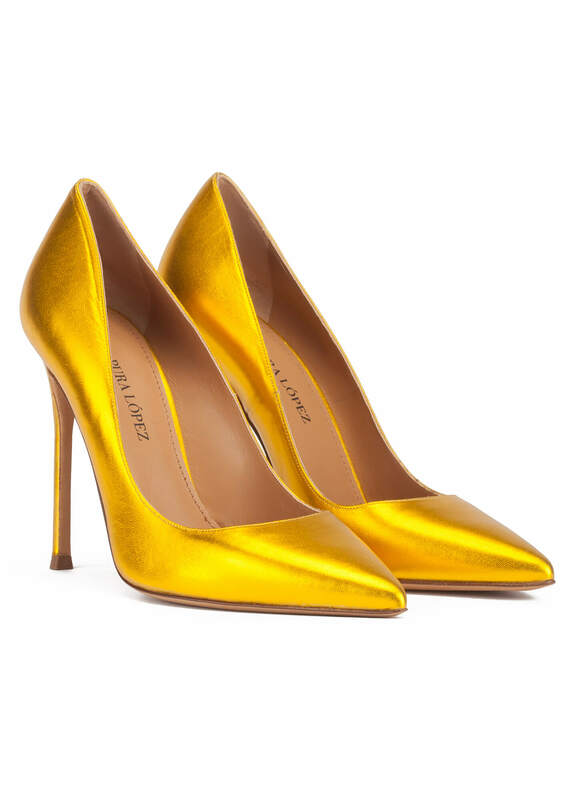 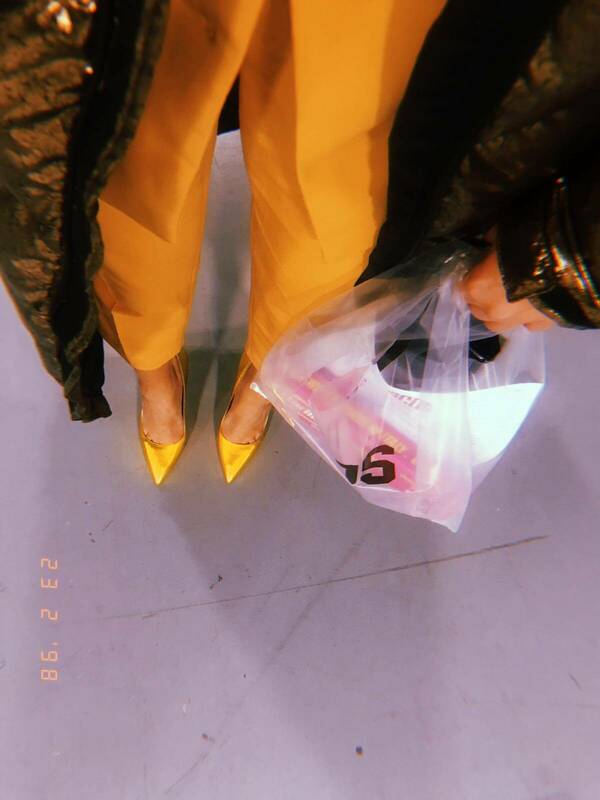 Kameron pointed toe pumps are crafted from metallic leather in a vibrant yellow hue. 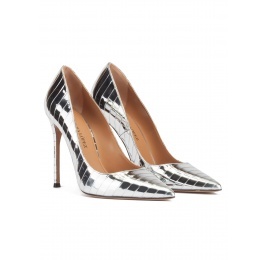 They're set on a 11cms stiletto heel. 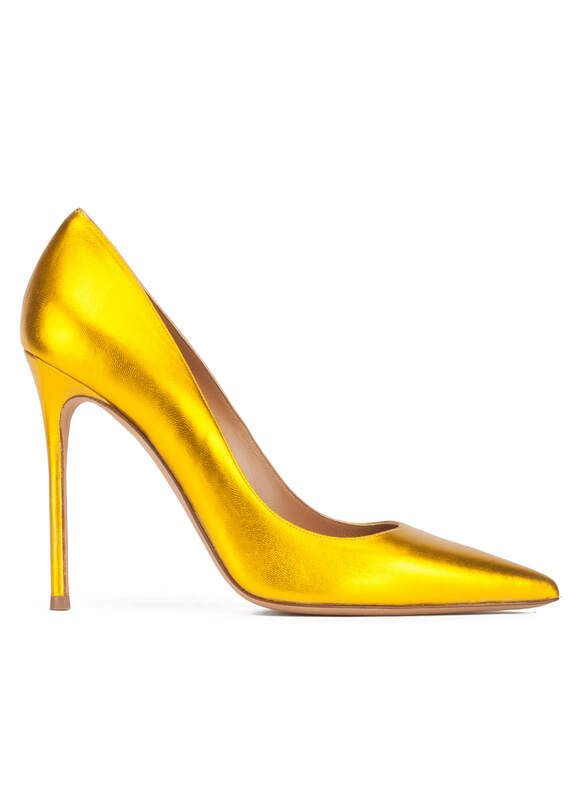 This shoe is reintrepreted in its boldest version. 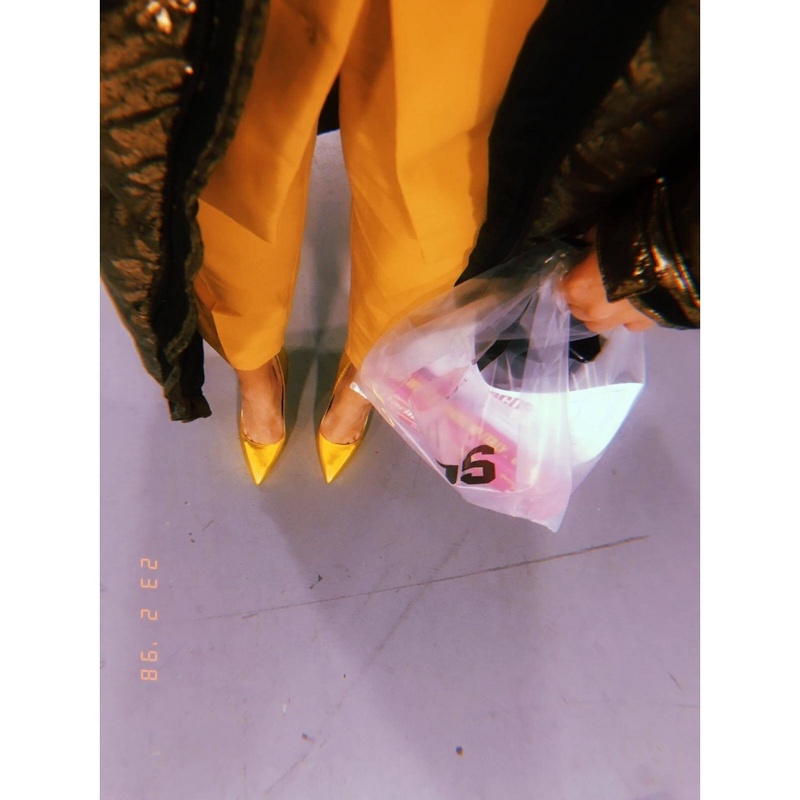 Reference: AK107 napa metal yellow.